Whether you are a rookie, a landlord by default, or a seasoned investor – there are some basic rules that will make any investment profitable! Gina here. I’ve been a real estate agent in Northern Virginia since dinosaurs roamed the earth – 1996 to be exact. Throughout the years I have bought, sold, and rented just about every type of property out there during every kind of market – up, down, flat. When I started to balance my portfolio of investments with real estate – I studied everything I could find on the topic. I was super nervous making such a large purchase and dipping my toe into the real life version of Monopoly. These are some rules that have made my investments lucrative – even when purchased at the height of the market. I want to share these with you in hopes of demystifying the prospect of building wealth through real estate. I hope you will find them helpful. 1 – It’s all about the cash flow. This is true whenever you buy. In order to make sure that you are an investor and not a gambler – the numbers must work now. If you are speculating on future appreciation, interest rates, metro lines, schools, etc – that is not investing in real estate – that is playing poker with the market. And just like in the casino – the odds favor the house, not the gambler. 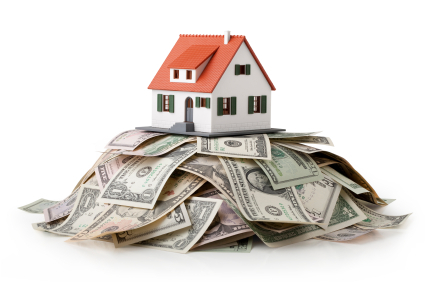 The first thing I do when evaluating an investment is to make sure that the rental income coming in each month is higher than the carrying costs of the property (which include the entire mortgage payment of principal, interest, taxes, and insurance – as well as any HOA fees or utilities). This is largely dependent upon the type and terms of the loan – I typically use 25% down for the best combination of rate and leverage. 2 – Scope out the rental market, not just the sale side. If you purchase a property below market value that’s a great start – however if the vacancy rates are high, you will never reach your target. There will be no cash to flow. 3 – Have an exit strategy. This is true whether you are flipping a property or aiming for buy and hold. You want to look at the different options for what to do if you were to sell suddenly – what’s the worst case scenario and can you live with it? Armed with these three items – you will be well educated and ready to make a successful real estate purchase – whether here in Northern Virginia or anywhere else. Ready to get started? Shoot me a text (703-574-3478) or email (gina@ask-gina.com) and I’ll add you to our “Investor Insider” list, from there we can schedule your personal one on one meeting to discuss your goals and map out your future! To infinity and beyond!